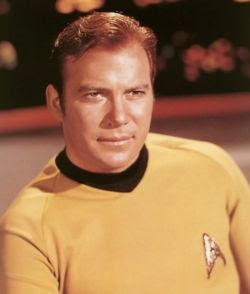 Home » humor , william shatner » Today is "International Talk Like William Shatner Day"
Today is "International Talk Like William Shatner Day"
It... has been reported, to this blogger... that today, March 22nd, has been declared, International Talk Like William Shatner Day. You are, urged... to modify your speech patterns, accordingly. Shall we try a little reverse logic here? Let's discuss what it isn't?